Octagon has launched the third version of its interactive tool aimed at researching the "why" behind fan passion. Passion Drivers 3.0 is an evolution of the first tool by the same name, which was launched in 2005. Simon Wardle, Octagon Worldwide's Chief Strategy Officer, explained the latest evolution of the research initiative he created six years ago. "We began by providing the industry's first quantified understanding of why fans are fans which allowed marketers to understand their target consumers when they are in 'fan mode'. Since then, we have studied 60,000+ avid fans of 30+ sports in 11 countries on six continents," he said. The goal of the product is to help companies understand why each of their consumer segments emotionally connects with their passions, helping clients see how to better leverage their sponsorship investment to connect their brand to their target consumers. 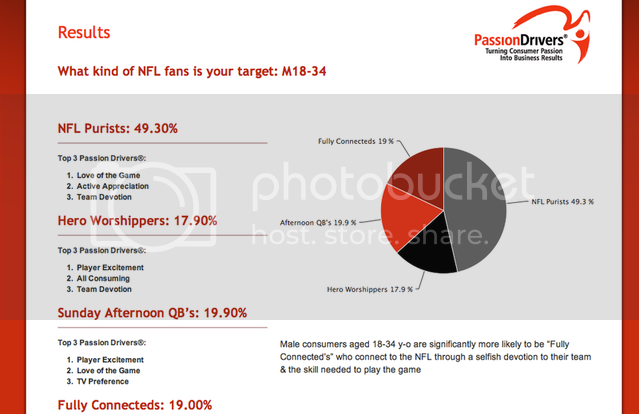 "Now, with our latest iteration of Passion Drivers® 3.0 research, we can instantaneously provide marketers with updated data and detailed media consumption by overlaying what we know about fans' passion with a database of 40,000+ consumer metrics," Wardle explained. "With this new tool, corporate sponsors can focus on not just the fan, but on their target consumer as the fan, giving them real-time insights into their target consumers and fans while they are consuming the sports and music they love." The launch of the Passion Drivers 3.0 database currently encompasses fans of 13 sports. Plus, later this year, the research also will be applied to Hispanic consumers and their passion for soccer.